Kyoto Restaurant – One of the defining characteristics of Kyoto as a tourist destination is the high number of traditional and cultural monuments within a small concentrated area, making it easy to visit multiple unique points of interest in a short period of time. 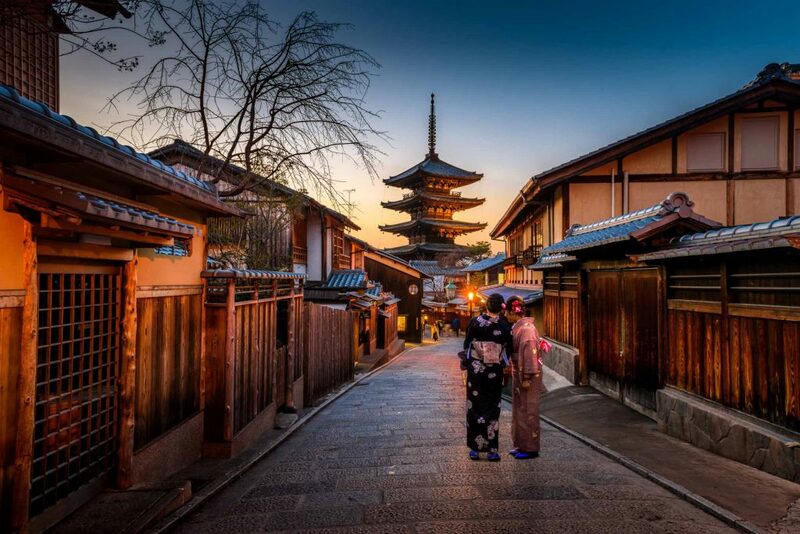 Not only this, but there is an overarching common theme where Kyoto castles, shrines, and temples have all been protected and maintained at a level where they are mostly in their original state from the time they were built, making them that much more special to visit and admire. Generally, the idea is to visit Kansai for the food in Osaka, and for the history in Kyoto, but we’re honestly surprised that the incredibly abundant and charming food scene in Kyoto hasn’t received as much worldwide recognition beyond that of internet famous eateries such as Jiki Miyazawa and Tempura Yoshikawa (not that we’re knocking either of the two – they’re both superbly entertaining restaurants that both deserve their incredible level of popularity!). To shed more spotlight on some of the best restaurants you can get a delicious meal in Kyoto, whether it be authentic Japanese cuisine, a unique dining experience, super affordable pricing, or stunningly aesthetic food that differentiate it from the many others that exist in Kyoto, we’ve listed below ten Kyoto restaurants we think would be worth your time to check out whilst exploring this wonderfully ageless city. 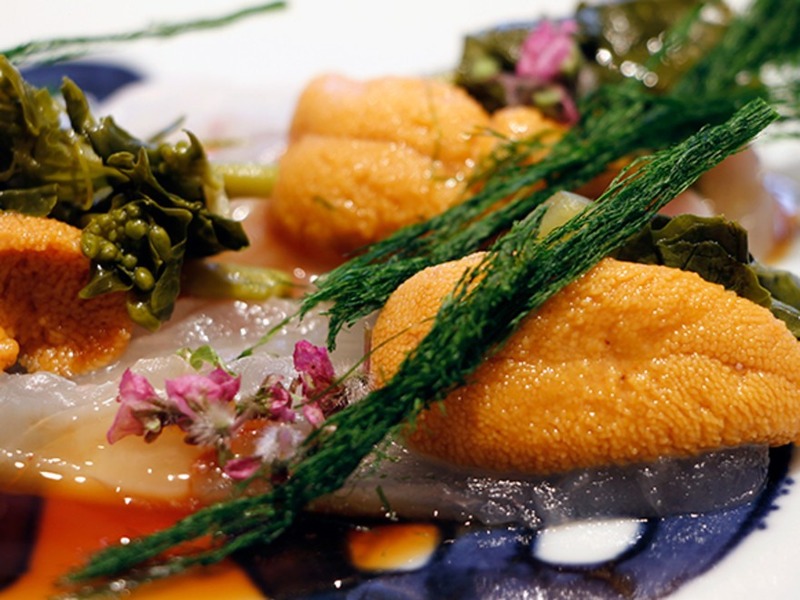 If you’re after the quintessential Kyoto dining experience, look no further than 1-Michelin star kaiseki restaurant, Jiki Miyazawa. Kaiseki cuisine is the Japanese style of haute dining where a number of small, intricate dishes are prepared using complementary seasonal ingredients and presented as a course. This style of dining is especially prominent in the Kyoto region, where emphasis is placed on fresh ingredients, and Jiki Miyazawa is one of the most popular places to try it. The restaurant itself is tiny, consisting of a small kitchen housing a few workers and the head chef and an even smaller bench top area for the customers. It’s not elaborate; there are no fine crafts to admire or artworks on the walls, but it doesn’t matter because your focus will be solely on the food presented in front of you. Regardless of whether you get a lunch set or a dinner set, the precision, detail, and care placed into each dish can be felt and tasted in every bite. All patrons of this tiny establishment usually leave feeling full, satisfied, and grateful for having such an unforgettable experience. It’s quiet a challenge to get a spot at this restaurant because of it’s popularity so we advice you to make your reservation in advance. Another kaiseki entrance to the list, the Nakamura restaurant in Kyoto is a 3-star Michelin restaurant in Kyoto that has made a big name for itself by using only the freshest seasonal ingredients for its dishes. Dating back all the way to the Edo period (between the 17th to 19th century), the kaiseki cuisine is served in the most traditional environment with tatami mats, lowered furniture, and cushions on the floor for customers to sit and eat on. The menu changes according to the season to ensure that only the freshest ingredients are used, and you can definitely taste it in the way the foods and prepared and see it in the way that they’re presented. All dishes you consume will be outstanding in all aspects, only made better by the incredibly thoughtful and professional service of the waiters (women donning in kimonos). One of the signature dishes of chef Nakamura is the shiromiso zoni, a white miso soup mixed with wasabi for a flavour explosion, with a pan-seared mocha inside for that extra bit of texture bombshell. Something to look forward to! Same as above, Nakamura restaurant is one of the best restaurant in Kyoto so it gets full pretty quick. To make sure to have a spot, book your place in advance. Michelin-starred restaurants in Kyoto are in abundance, if you haven’t been able to tell yet, and one of the most highly sought after seats include those at Gion Nishikawa, a kaiseki restaurant whose omakase (when you respectfully leave the course of lunch/dinner up to the head chef, who typically combines their culinary expertise with fresh seasonal ingredients to create a unique dining experience) course has been praised by diners from across the world. 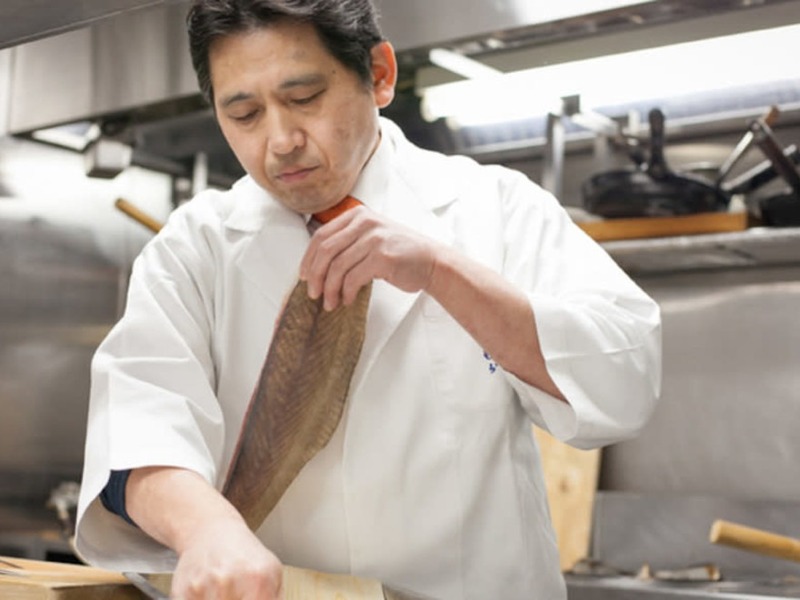 The head chef, Masayoshi Nishikawa, has had his fair share of training across a few other famous Kyoto restaurants before opening Gion Nishikawa in 2009, and he hasn’t looked back since. The restaurant has two seating options: the counter, which seats ten, where diners are able to overlook the chefs work their magic and occasional try conversing in broken Japanese and English, and private dining rooms. If you would like to book a seating, your best option would be to do it as soon as possible as there are very limited seats (as with most Kyoto fine-dining restaurants). Traditional Kyoto Kaiseki cuisine won’t hit you in your core quite like Kichisen does. Everything about this place is meticulous: the gorgeously historic interior (very much a ryotei), clean, bright wooden countertops, and of course, the presentation of the famed dishes created by the one and only chef Yoshimi Tanigawa. 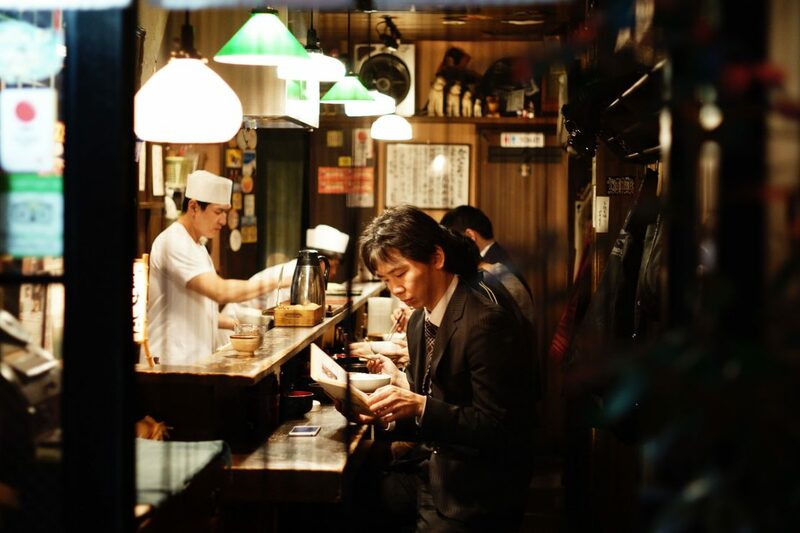 Unlike many other high-end kaiseki restaurants in Kyoto, this restaurant attracts a wide variety of tourists, and thus you will be able to converse in some English here. The chefs are known to be top-notch in terms of service and friendliness, making the dining experience all the more enjoyable. You have a choice of either the set menu or the omakase menu – in most cases, we’d have a recommendation, but in this case, both are equally as exquisite and well-received, so go with your gut feeling. If you’re on a budget but really don’t want to miss out on this kaiseki experience, try and book for a lunch meal instead. It’s much more affordable, although please note that you won’t be able to get the full food experience. 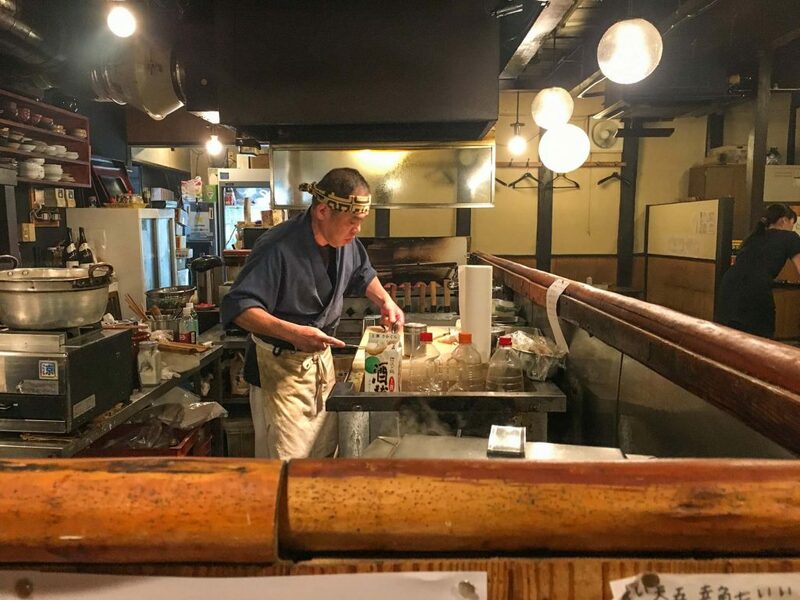 The incredibly famous omurice from Kichi Kichi has made its rounds on the internet, and it continues to grow more and more as tourists traverse Japan to dine at this tiny restaurant, served by the adorable chef Motokichi Yukimura. If you’ve come across it before, you really couldn’t have missed his signature red beret that he wears whilst carefully but joyfully preparing your meal. 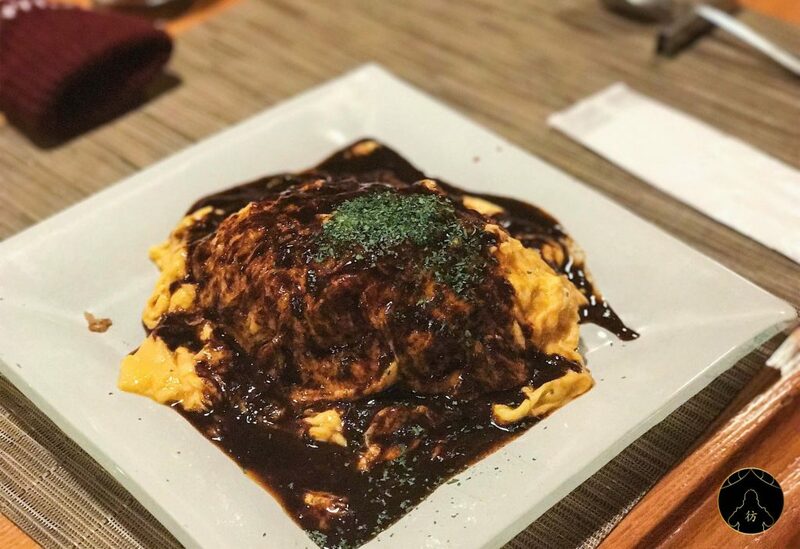 Omurice is one of Japan’s staples, and it basically consists of seasoned fried rice, encased in a thin layer of omelette on top, with sauce on top, either ketchup, or demi-glace, or even cream-based. So what makes this place so special? Some might be inclined to say that the creaminess of his egg omelette is to-die-for, others might say his demi-glace sauce is out-of-this-world, and many still will claim that his unique method of serving up the ‘open omurice’, where the egg omelette is served closed on top of the rice, and then sliced open in front of you is what draws the crowds in – but we honestly believe that it’s simply a case of all of the above, plus chef Motokichi Yukimura’s incredibly effortless ability to keep you entertained from the moment you walk in on an empty stomach to the moment you waddle out with a full belly. He’s simply an entertainer – he’s funny, skilled, and knows just how to play it up for the camera you’ll no doubt have attached to your hand to capture it all. All in all, a wonderful dining experience for people of all ages. There are also a number of other things on the menu that you can order if you want to try different things. It’s quite a small restaurant, so large groups might be difficult to cater for, and it’s also so popular that you’ll need to book in advance via the website. It opens up 6 weeks before the date, so a word of advice is to get in your booking as soon as it opens. You can try and walk in for a table, but there is a high chance you’ll be turned away, as there are a limited number of seats. Access: From Keihan Sanjo Station, it is a 3-minute walk. Komefuku is a restaurant hidden in one of the many nooks of Kyoto, specialising in a variety of different types of tempura made with only the freshest ingredients. Whilst you would expect a tempura restaurant located in Kyoto to be a high-end luxurious dining experience with prices to match, Komefuku is surprisingly no-nonsense with their prices. Their seafood range is probably one of the most popular choices by customers – each morsel is deep-fried in rice-bran oil to bring out that extra loud crunch. If you’re after a full-circle meal that will neither break the bank nor take too much time away from your sightseeing, then maybe a stop by Komefuku is the way to go. The prices, again, are surprisingly extremely affordable for the amount of food and the quality that you receive. The ‘Komefuku Tendon’ bowl is an enormous serving of a variety of tempura on a large serving of rice and a bowl of deliciously hot miso soup to wash it all down. It’s their most popular dish, and you’ll see many locals enjoying this fare if you decide to dine here. It’s a no-fuss, no-disappointment dining experience for those days you just need a quick meal before heading to the next temple. They also do great sashimi, but their tempura is the way to go. Melt. In. Your. Mouth. Wagyu. Enough said. But if it wasn’t enoug, then let us tell you more about this surprising gem located in Kyoto (of all places) serving up some of the meanest wagyu beef dishes you’ll during your entire stay here, possibly made more sought-after by the fact that it’s surrounded by Michelin-starred fine-dining kaiseki and shojin-ryori restaurants which make it as equally jarring as it is brilliant. If you’re a big meat-eater, then we highly, highly recommend booking this place for one night. It’s a wonderful mix of traditional and contemporary in both culinary delights and décor. There’s the option to choose a la carte items off the menu, but we’d recommend one of the set menus so you can get a taste of everything. Everything from the condiments served with the meats to the entrees will make your mouth pool with drool even before you see the dish come out (the aromas of the dishes here precede the dishes themselves), but when you hear the steak sizzling as it makes it way to you, it’s over. Other memorable dining experiences as you know them will all fade away to be replaced by your first bite of the incredibly tasty, perfectly-cooked steak. Hafuu – a great night out for friends, couples, families, or just yourself. Think ramen, but think hot, oil, fire. At Menbakaichidai, it’s a mastery of all three. The very popular ‘fire ramen’ joint located near Kyoto City is a quaint eatery with only a few stools surrounding the open kitchen. It draws some of the biggest crowds, and sometimes lining up can take a few hours. However, the experience is insane! How it works is that you order a bowl of the fire ramen, and soon enough, a massive bowl filled with a mountain of oil and spring onion and popped down in front of you. This is a key ingredient to the ramen, and even if you’re not a big fan of spring onion in general, don’t worry, it cooks in a way where neither the scent nor the flavour is too strong. They’ll ask you to pop on an apron, seat yourself in a certain way as to not be too close to the bowls, and the show will begin. Beginning from the left side, the trained chefs will pour a scalding hot ladle of oil into each bowl of spring onion ramen. The moment it makes contact with the onion, it’ll erupt in a mountain of fire in front of you! Don’t worry though, in all the years that they’ve operated, not once incident (eyebrows or otherwise) has occurred, so you’re pretty safe. The flame only lasts a few seconds, so savour it whilst you can (or as much as you can with a burning face!). This store has shown that they’ve kept up with the times, and you will find selfie-sticks for phones hanging across the top of the kitchen. Before any theatrics happen, they will ask you to turn on your phone to your video mode, and attach it to their selfie-sticks so that once they’re ready to start, they’ll make sure all cameras are rolling on everyone’s phones. This place is quite a unique experience, and a change up from the usual fare you’d find in Kyoto. They don’t take reservations at the store, so we recommend that you get there nice as early the moment it opens so that there’s minimal waiting time. Kyoto is no stranger to exquisite fine-dining experiences, but it’s also got its fair share of unique restaurants offering hard-to-come-by cuisine that you’d be hard-pressed to find elsewhere. The ‘botan nabe’, i.e. wild boar hot pot, at Hatakaku is one such dish*. If it’s the first time you’ve heard of it, that’s not surprising at all. 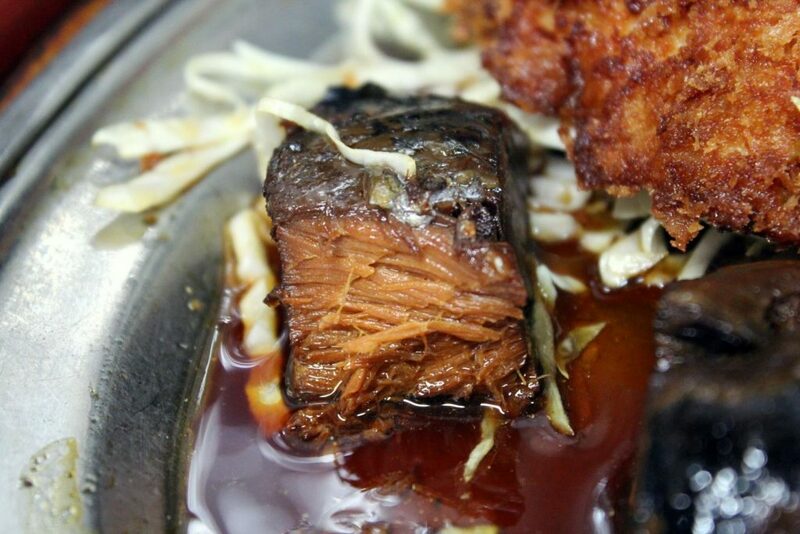 It usually only eaten in the colder, mountainous regions of Japan, and hasn’t exactly found its way down to mainstream restaurant locations as of yet. However, this hardly detracts from it’s exquisite taste. The wild, gamey meat is quite fatty, and when cooked in the soup, will melt away slightly to add a distinct taste and thickening to the soup. The presentation of the meat when it is brought out is something else – a shocking contrast of bright red and white meat, folded and displayed as a stunning flower … this in itself should bring in flocks of Instagrammers obsessed with beautifully presented food. Eaten alongside white miso and dashi stock soup and an abundance of mushrooms, and this meal will reach into your core and warm up even the coldest parts. The dining experience is also on another level – each private room of the restaurant is exquisitely furnished to highlight traditional Japan, with cushions on the floor to sit on, tatami mats, unique straw artworks hung on the walls, and just-bright-enough gentle lighting. The hot pot itself sits in the middle of the room on a charcoal fire, giving it a gorgeous country appeal. You won’t find anything like this for (hundreds) of miles. 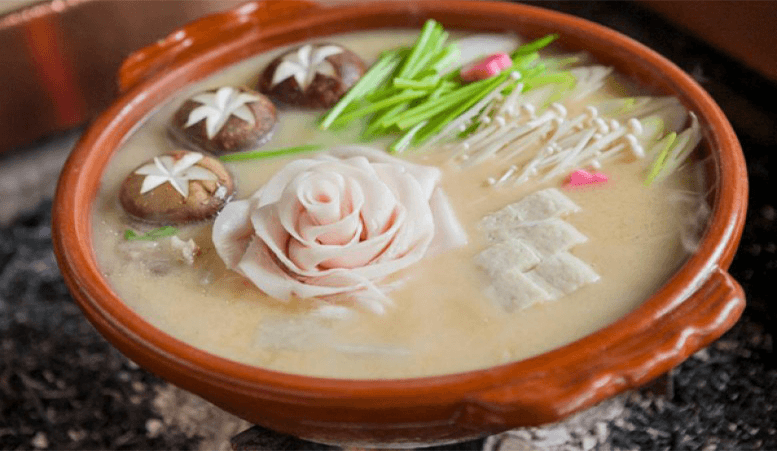 *Please note: Botan nabe is only served from mid-November until mid-March. 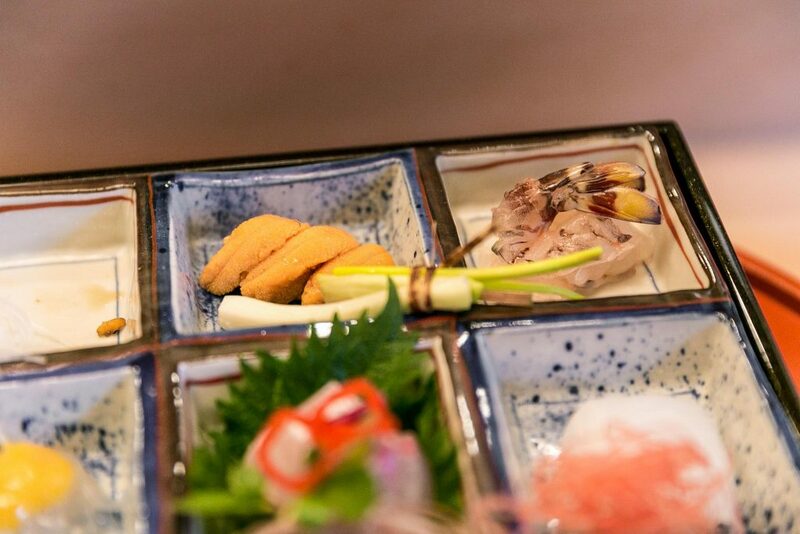 Kaiseki cuisine is served the rest of the time. This one here is a true hidden gem, sheltered from the hungry eyes of foreigners, usually only visited by Japanese people who find out about it through word of mouth or local coverage. Not much can be found about this restaurant, except that it serves an exceptional mackerel fish set meal (Saba set meat), it’s only open 3-hours a day, and you can combine it with a trip to visit Kamigamo Shrine. 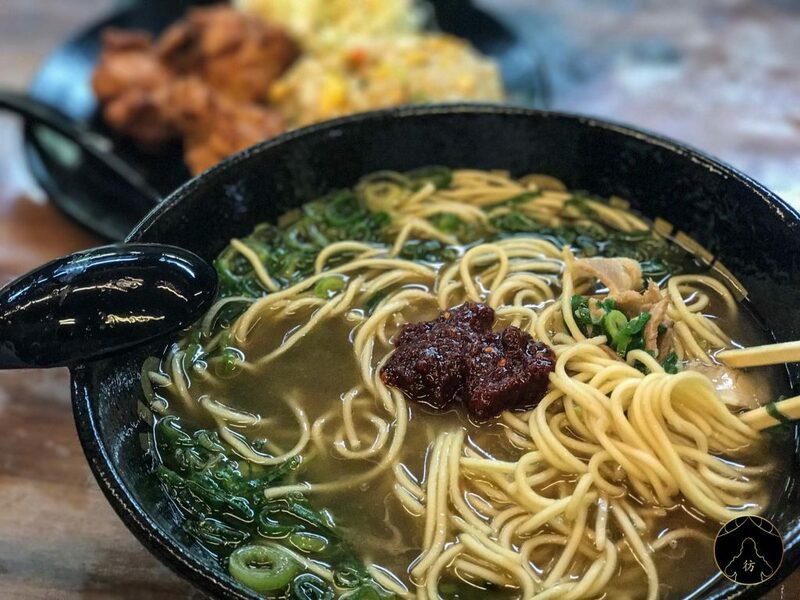 Ok, so maybe we just listed pretty much ALL the reasons why you should visit this place – it’s got great good, it’s conveniently located, and have we mentioned how affordable one of their meals is? All their sets are less than 1,000 yen, so feel free to splash your notes around and order one of everything to try it all. However, again, we have to highlight that it is their Saba set lunch that’s what gets the people going – they stew their mackerel fish in a secret, special sauce for an entire three days until the meat is so soft, even bones are consumable. The taste of the sauce seeps deep into the flesh so that it loses almost all of the fishy-ocean smell, so even if you’re not a fan of fish, this dish might just be an exception for you. Of course, if you’re adamant you don’t want to try it, there are other options as well, such as tempura and karaage – but be warned, the menu is limited, and there is no English, although there are pictures to accompany the menu. 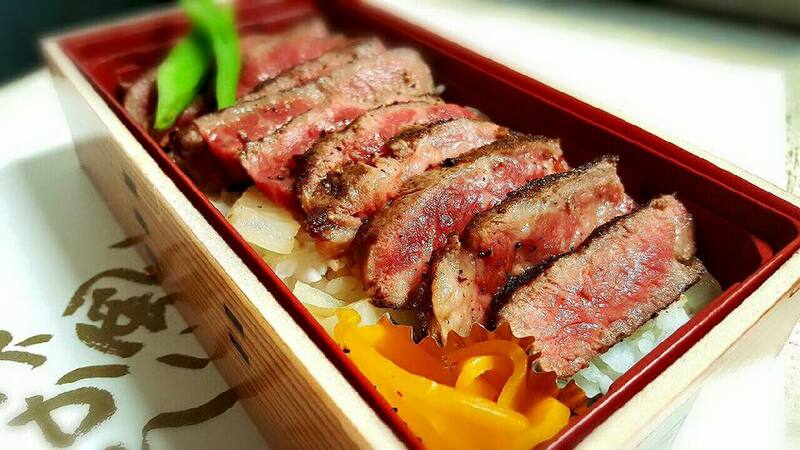 For those who want to sit down outside and enjoy the air, or if the restaurant isn’t showing any signs of slowing down in terms of diners, you can simply order a take-out bento box and sit along the Kamogawa river. It’s especially gorgeous during the hanami season!